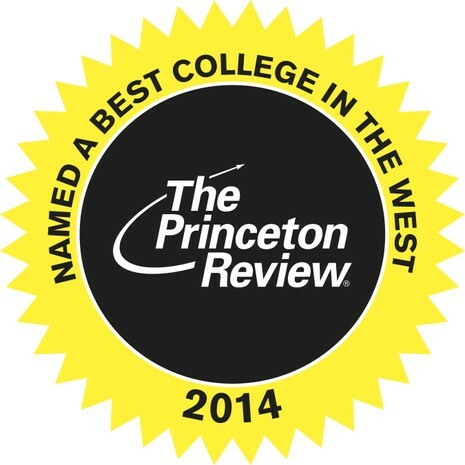 Princeton Review Names Biola One of the "Best in the West"
Biola University is one of the best colleges in the West, according to newly released college rankings from The Princeton Review. Biola is one of 124 schools to make the organization’s annual “Best in the West” list, released Aug. 6 as part of its "2014 Best Colleges: Region by Region" online feature. For the list, the organization identified the top schools in four regions of the United States — West, Northeast, Midwest and Southeast. The selected schools constitute about 25 percent of the nation’s 2,500 four-year colleges. The 124 colleges on the “Best in the West” list — located in 15 states — were selected based on academic reputations and student recommendations, The Princeton Review said. “We’re pleased to recommend these colleges to users of our site as the best schools to earn their undergrad degrees,” said Robert Franek, Princeton Review’s senior vice president and publisher, in a statement. The Princeton Review, an education services company widely known for its test preparation programs and college and graduate school guides, asks students to rate their schools on several issues — from the accessibility of their professors to quality of the campus food — and answer questions about themselves, their fellow students and their campus life. Comments from surveyed students are quoted in the school profiles on The Princeton Review site. Students quoted in Biola’s school profile noted the school’s rich Christian culture, biblical values and knowledgeable and passionate professors. “My school has positively impacted my character, awareness of issues in society, relationships, and encouraged the formation of my own unique worldview in more ways than I could have imagined,” one student wrote. The ‘Best in the West’ ranking is the latest of several recent lists on which Biola has appeared. In April, The Princeton Review named Biola one of the most environmentally friendly colleges in the United States and Canada in the 2013 edition of its “Guide to 322 Green Colleges.” And in July, The Chronicle of Higher Education named Biola one of the nation’s 97 “Great Colleges to Work For” for a second-straight year. This is great news!! I've only been here a semester and i love my school in every way possible.